Two mechanical engineers (Daniel Schwirtz and Daniel Cho), one chemical engineer (Tom Wu), and two environmental science students (Erica Hansen and Shasha Wang) went to Lesotho, Africa this summer. Their journey was part of a 6 week placement through an International Service-Learning (ISL) program put on by Go Global – A UBC organization that develops and facilitates international learning through exchanges, group studies, and graduate research, among other programs. Partnered with a grassroots community volunteer program called Mohoma Temeng (translates as “Educating to Feed Ourselves) and several students from NUL (The National University of Lesotho), the team from UBC embarked on constructing VIP (Ventilated Improved Pit) latrines and talking to community members about proper sanitation practices in several rural villages. As the program progressed the project expanded, under the direction of Mohoma Temeng, to include the implementation of a preschool for the community’s orphans and organizing and facilitating youth HIV education through the local hospital. By the end of the 6 week placement, 6 VIP latrines had been constructed, the preschool was in its first week, and a formal youth HIV education session had been put on by one of the counsellors from the local hospital. As much as they accomplished with their partners overseas, the students from UBC all feel that they gained and learned much more from the community than they were able to give. Upon returning to UBC, the team of students were eager to continue learning and engaging with the topic of international development and spreading awareness. Having already hosted a post-engagement event for friends and family, the team is looking for ways to fundraise for Mohoma Temeng’s continuing cause. Mohoma Temeng has long standing relations with UBC. The founder, Mathabo Tsepa, received her PhD in the Environmental Education Program at UBC in 2008. 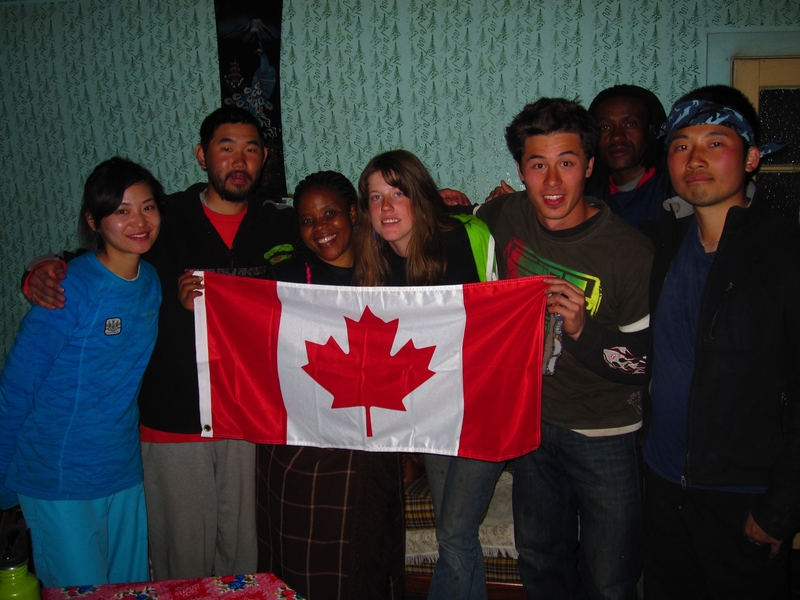 When Go Global caught wind of her community based volunteer program, a partnership was formed, and in 2009 the first group of ISL students was sent over seas to partner with the organization. Being an advocated for her country for many years, Mathabo Tsepa has just received the honour of being appointed Lesotho’s High Commissioner to Canada. 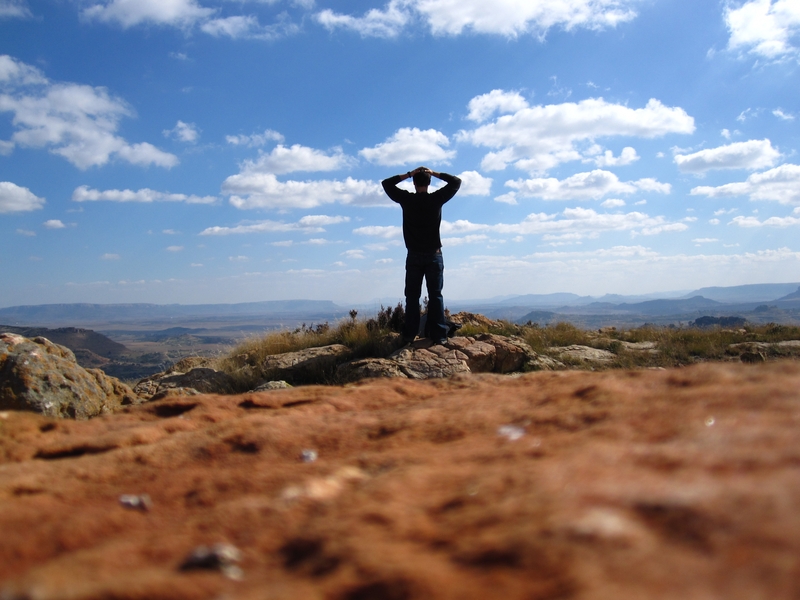 When I stepped off the plane in Lesotho, I didn’t quite know what to expect. But as my eyes readjusted from the glare of the sun I was met with a familiar scene. Bright blue sky abutted against mountains in every direction, low, earthy coloured vegetation, and an uncanny likeness to a desert that I knew very well. Born and raised in the interior of British Columbia in the semi-arid desert city of Kamloops, I felt like I was coming home. Me and two other teammates from UBC had just arrived in Lesotho, Africa to start our six week placement through Go Global in partnership with Mohoma Temeng, a local grass roots organization, and the National University of Lesotho. A taxi had been arranged to pick us up to take us to the small house where our other two teammates were staying, so we stood outside the terminal taking in our surroundings chatting to the Lineo Ntho, the NUL student sent to pick us up. Less than a minute after we had stepped outside, Lineo signalled that our ride had arrived. We turned to see something like a red Sierra Ford from the 80s with a cracked windshield and a missing side view mirror come to a stop in front of us. The taxi-driver promptly put the car in park, and with a huge grin ran around the side of the vehicle to give us all a hug. That was our introduction to the country and the start of an unforgettable six weeks! 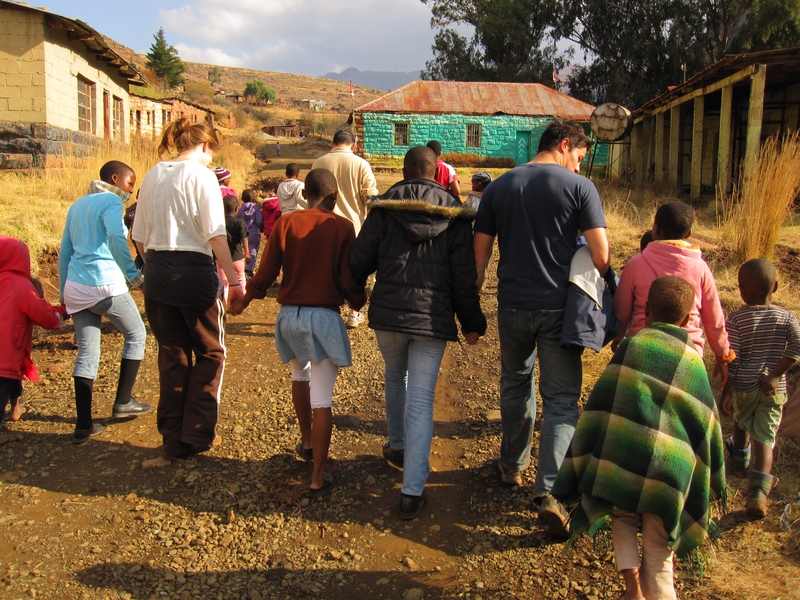 It’s easy to encapsulate what we were sent to Lesotho to do in words: we were sent to help with a water and sanitation project involving the construction of latrines and sanitary education. What’s harder to encompass is the actual experience we had; somehow a 2-D literary rendering seems to fall short. How do you explain what it feels like to be a minority for the first time in your life; or the feeling of having a local priestess bestow a Sesotho name upon you that means “happiness”; or how inadequate you feel when a local brick layer shows you how to lay a foundation for the first time; or how humbled you feel when someone expresses gratitude in a language you don’t understand; or how lopsidedly humorous and heartbreaking it can be walking hand in hand with a little local boy that you’re trying to say goodbye to, but he just smiles and nods, not understanding and still expecting to see you tomorrow. I have tried but every time it just doesn’t seem to get across. I just can’t manage to bring a friend or even a family member to understand what I experienced with my team half a world away. The only way I think anyone could understand is to go and see and do for themselves. But it’s not as easy as getting the right visa and hopping on a plane. You have to consider the implications and ethics of what you’re engaging in. And when you start thinking about that you won’t stop. Even after coming back I still question what exactly we were meant to do and if we actually made an impact whether positive, negative, or a little of both. And that’s why I really appreciated the facilitation of Go Global: they introduce you to the broader context before you go, help you reflect and understand while you’re there, and engage with you after to continue unravelling your experience. I would encourage any student interested in international development to seriously consider taking on a placement with Go Global. Once you go and see and do, you will come back and see things differently, you will do things differently, and where you go from that point will be forever shaped by that experience.